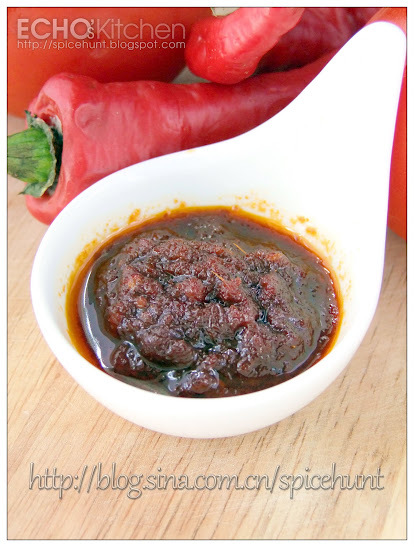 I always keep a bottler of sambal paste in the fridge in case I am craving for Malaysian food... a friend of mine asked for a vegetarian version of this sauce not long ago, since the sambal paste in the fridge is over, I decided to make the sauce a little more vegetarian friendly! Half of the last two of my Zucchini was turn into zucchini cake, and the remaining one was used to make this yummy fried noodle since it was already shredded. 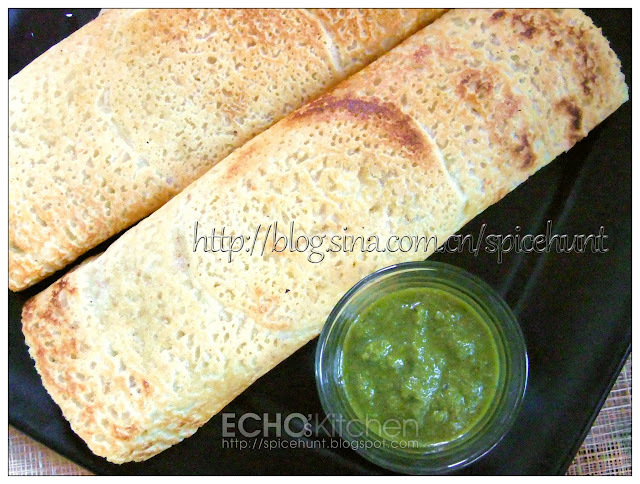 It is a easy and quick breakfast choice too! Since I made Braised Pork Belly 2 days ago, I have to think of ways to consume the dish, I made some noodle to go with it, had it with rice and after 3 meals I am already starting to feel a little tired it. 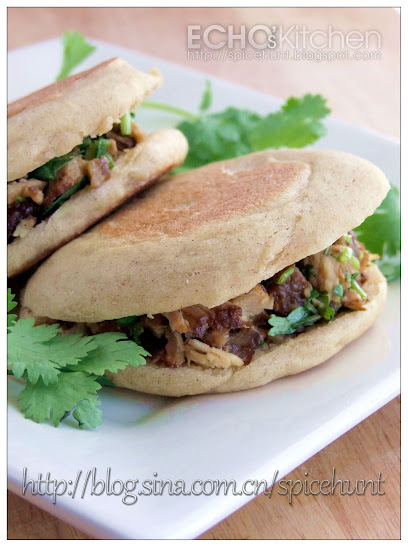 Then I remembered the Chinese burger I had years back in Northern part of China, the stuffing was indeed braised pork, it was so yummy that I could not stop at just one! Thus I made the bread, made a few of this burger, and had two right away! I have been craving for chocolate cake for days and almost pick up the car key and drive to bakery a couple of times! 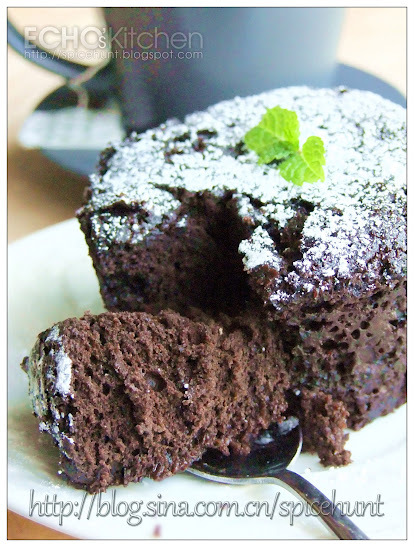 It gets so bad yesterday night that I finally gave in and made this simple, quick microwave cake. I got similar recipe years back from a auntie in India, I did modified a little to suite my taste and to make it a little moist this time ... it is very nice !! 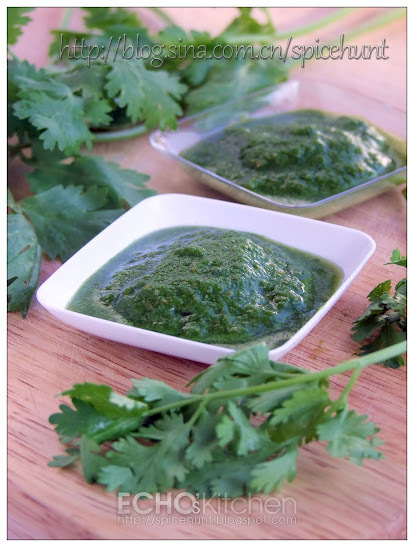 This green chutney is a very versatile and useful chutney at home, I always prepared some and fridge it up. It could use to serve together with any Indian snacks like pakora, samosa, vadas, pav and even as condiments to go with sandwich. I planted a few zucchini plants this year but they didn't do too well, and yield only 2 zucchini by far, as it is getting colder and the plants starts getting yellow, so I decided to pull them up and clean up the garden... and to my surprise, I found two rather big zucchini hidden underneath the plants! My friend posted zucchini cake not long ago on facebook and I was really tempted to try the recipe as it sounded healthy and yummy... but have no heart to buy the zucchini from the shop. Here I am with two fresh, homegrown zucchini, I am just about to waste no time and make this cake! 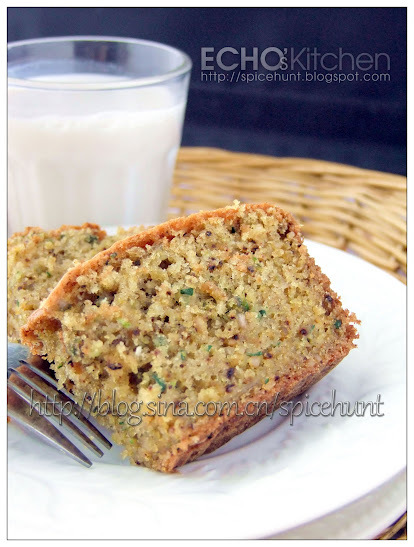 As I was trying to come up with a good recipe, the internet search engine shows many recipes that is closely representing pound cake recipe, not much of a pound cake person as I am...I decided to make it my way... and here it comes, moist, fluffy, and healthy Zucchini Cake! Mangodi is a type of sun dried grinned lentil with spices originally from the state of Rajasthan in India, a very unique cooking ingredient. 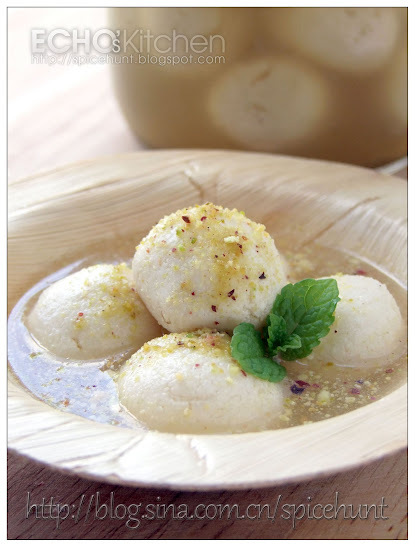 I made Rasgulla before using the pressure cooker, it turned out well, but I keep thinking of how rasgulla was made before pressure cooker was even invented! 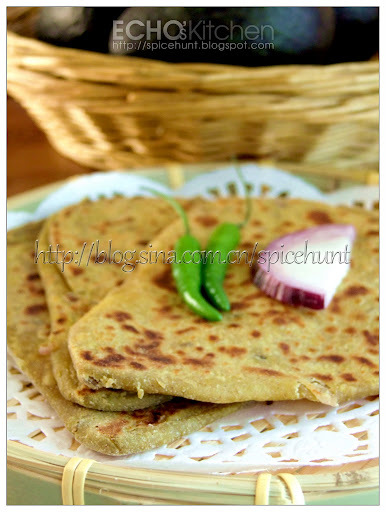 So I came across one of the recipe long back using just normal heavy bottom cookware, I could not recall the exact recipe now, but I really wanted to try the cooking method.. I was also at the opinion that a good rasgulla lies with how well the cheese/paneer is kneaded.... so I put my thought to practice and use a stand mixer to knead the paneer this time. It works so well and gives me soft and spongy cheese balls in much shorter time ! I am definitely delighted! I have two boxes of old fashioned oatmeal sitting in the pantry for quite some times. Not being a big fan of oatmeal porridge... I decided to turn it into some delicious cookie.. The cucumber mum and I planted this year was not growing well at all. So I decided to let it grow into old cucumber, I love old cucumber soup and never find this old cucumber at the local Asian supermarket here. As my tempeh was growing at home, I saw frozen Petai/Stinking bean at the local Asian supermarket, it has been a long time since I have petai, I just couldn't resist bringing a packet home. 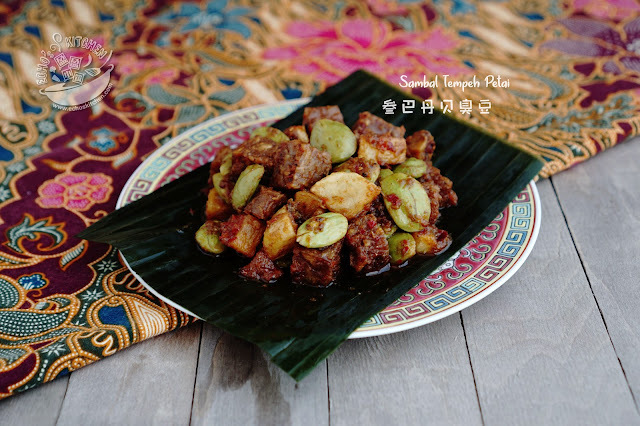 This Sambal tempeh petai is a very healthy and really satisfying dish! This creamy lentil stew is one of the best lentil stew I have ever had.. 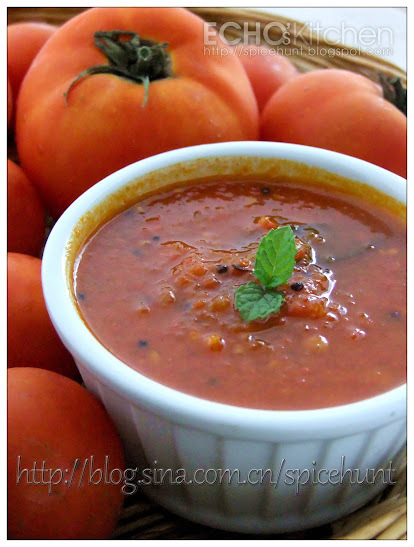 It is a good dish for party and get together. 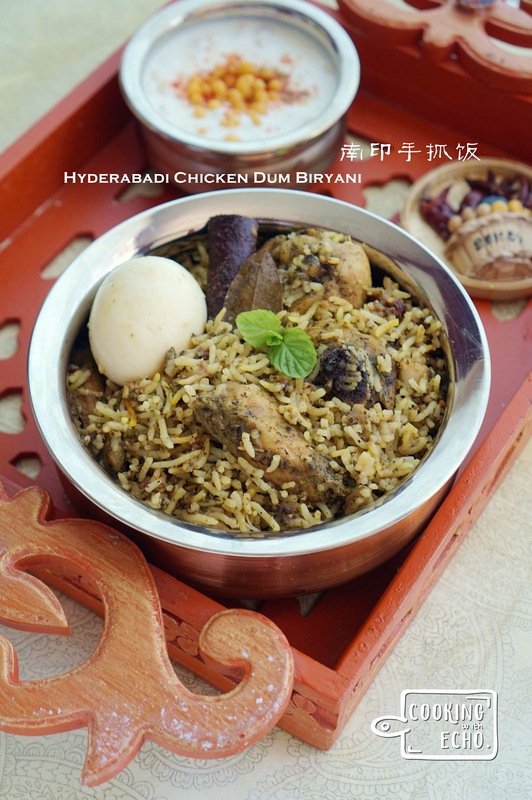 Though the preparation is time consuming, it is definitely worth the effort as it is the kind of dish that once one had it will never forget the taste. 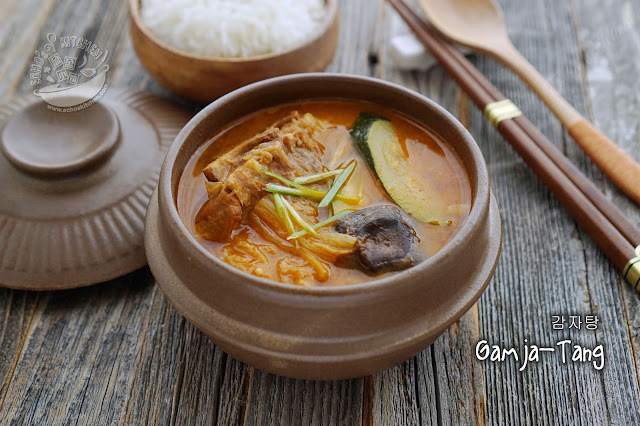 I have always ordered this stew whenever I visited a Korean restaurant and have been thinking of of making it once at home. I bought a box of neck bone from Korean supermarket last weekend, together with zucchini and potatoes from my garden, I made this super yummy stew for dinner! I love the fact that it has got everything, from soup to protein to vegetables in one pot... good dish to dine alone! 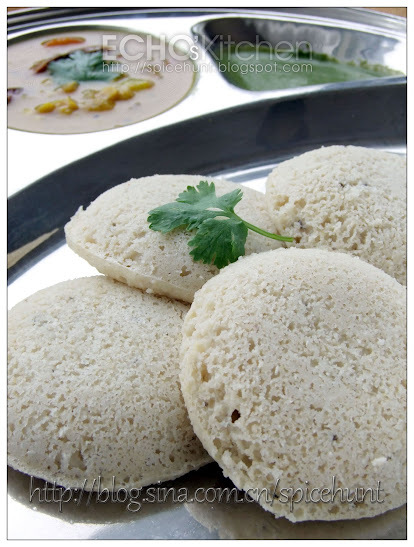 Idli is another high protein, high nutrients food... making idli using Quinoa just make it sounds so healthy and wonderful! This summer was one of the hottest summer in past many years, good for plants that thrive in hot weather, Okra is one of them. I harvested a bunch last week and didn't have time to cook until today. 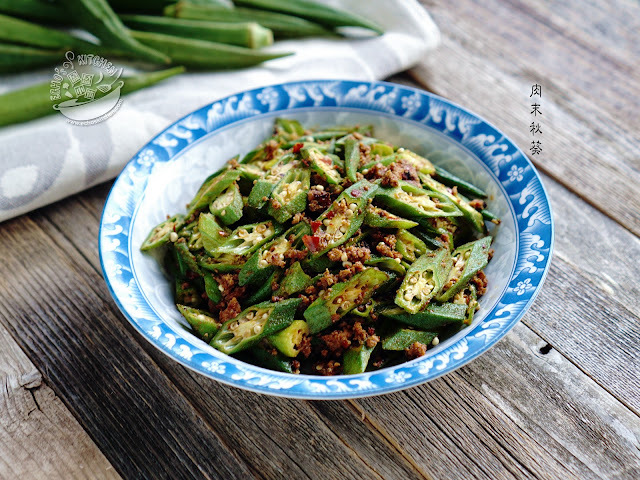 I was thinking of making some con-gee for lunch, and this okra dish is simply perfect for go with it. Cauliflower is very good source of fiber and vitamin C, I liked it stir fried the Chinese way and sometimes just steamed it with some garlic sauce. 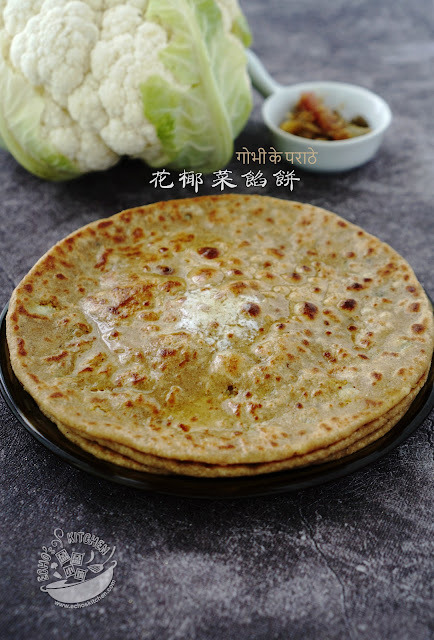 Making it as stuffing in Indian stuffed paratha (Flat stuffed bread) is also a very tasty to use this vegetable, a good way to eat yourself to health! 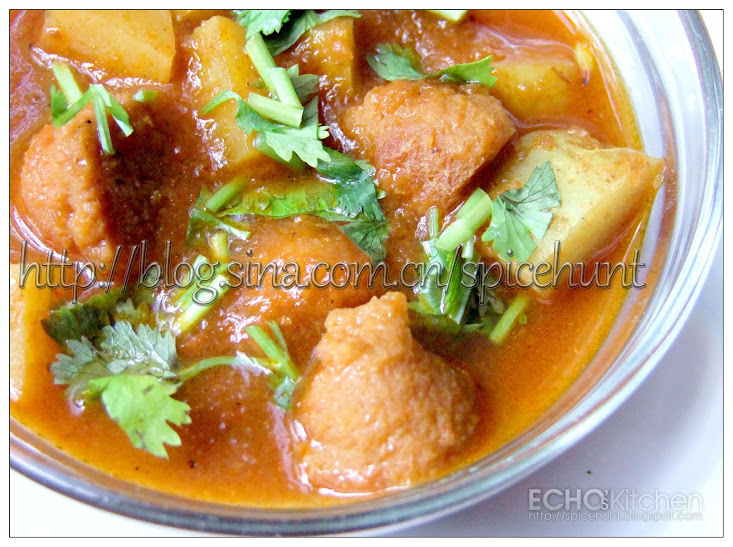 A good friend moved out of the country and left me with a big box of spices, one of them being this Karahi Chicken masala, it has been long time that I made a chicken dish, thus I decided to make this tasty Karahi Masala Chicken over the weekends!! And it turned out to be Superb! 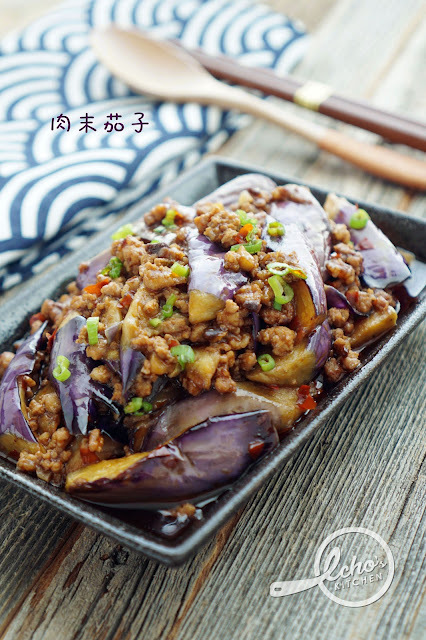 I love any dishes made with Brinjal, this Brinjal with minced meat shows up on my dining table quite frequently. Mum planted some Brinjal this summer. I harvested a few last few days and made this delicious dish again today! I love to sit home and watch a good movie or read a good book with family over the weekends, and that good family time often accompanied by some homemade snacks, and one of them is this one.. it is easy and could be prepared under 10 minutes... a good starter for party too! I always planted some Thai basil every summer, it is an essential ingredients in Thai dishes, which I love dearly...it could also be used for some Taiwanese dishes like Salt fried Chicken (盐酥鸡) and 3 cups chicken (三杯鸡）. My Thai basil grow well as usual for this year, and we have got some fresh salmon at home, so I made this delicious fish dish for lunch! I love having Thai foods in summer, the sweet/sour/savory mix of taste just helps to open up an appetite in hot summer months. Mum and I saw this unripe papaya at the Asian supermarket the other day. Since it was more than a 100 F out there these days. 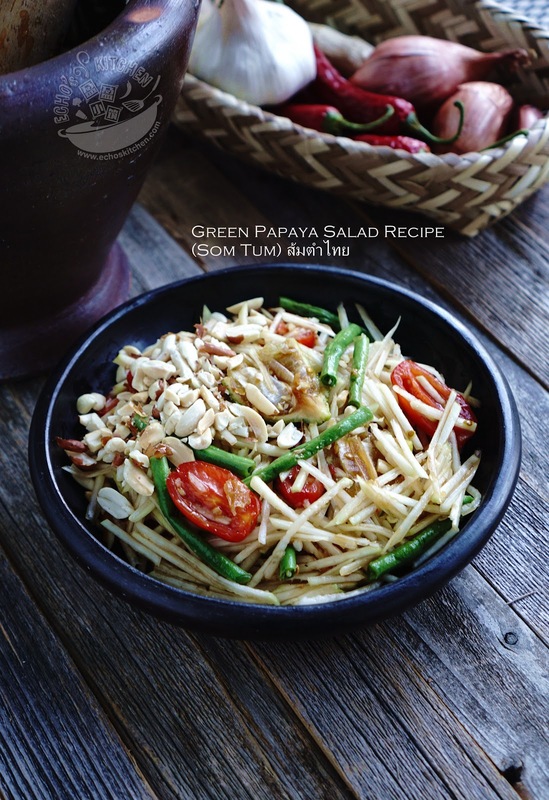 We decided to make this papaya salad for our lunch! Som Tam is traditionally made pounding in a mortar, I do not have a big mortar, so I just mix the ingredients together to form a salad. It still tastes great! 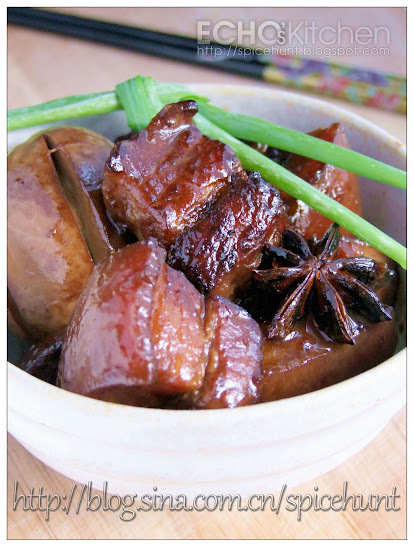 Note: The original post was created in the year 2012 and updated 1/2/2019 with new recipe (I bought the Laos mortal and pestle!) and pictures. 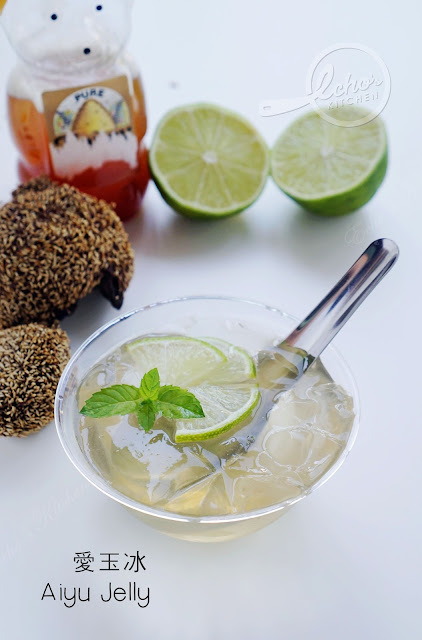 I like badam milk, cold or hot, and with vitamix, it is much easier to make this drink at home.. it was more than 100 F here in NJ for the past few days, I decided to make the cold badam milk as refreshment in the afternoon! 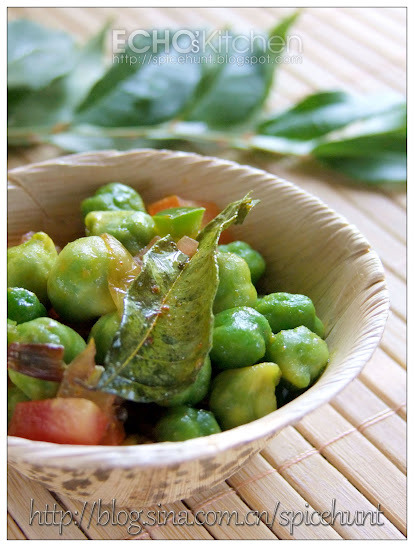 Green Chickpea is the raw chickpea (Channa/Chole) in pods, it is easier to prepare compared to the dried version and very nutritious! Being in NJ means we got choices of very nice and fresh Indian food ingredients, which of course includes this beautiful and delicious raw/green chickpeas! One of the street food that I really enjoyed was this Aiyu jelly. I liked it so much that I decided to buy some Aiyu seeds to make this home. Apparently it is very easy to make, and it requires no cooking at all! 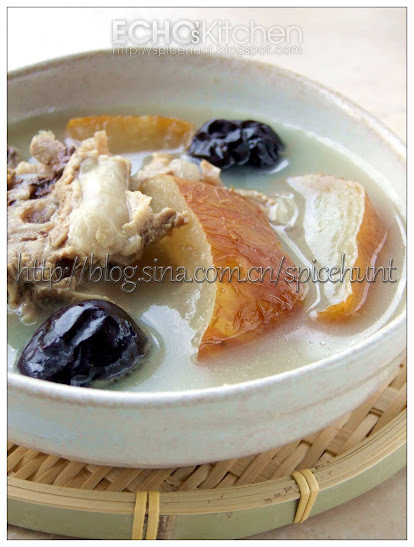 Grandma used to make this homemade rice wine for anyone who is due for baby in the family, it is an essential for the lady's confinement we used it in every dish we cooked for the mother within 30 days after the baby is born, this period is called confinement period. Grandma also made sure to make a few more bottles of this wine for my house, my brothers and I are big fan of Rice wine chicken. Now that grandma is no more. I just feel that this increasingly disappearing tradition should be remembered and recorded. 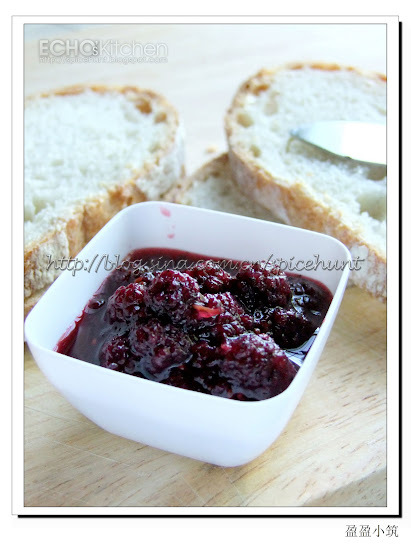 I made some mulberry jam a few days ago, and mum thought of the dessert she had in Shanghai before. 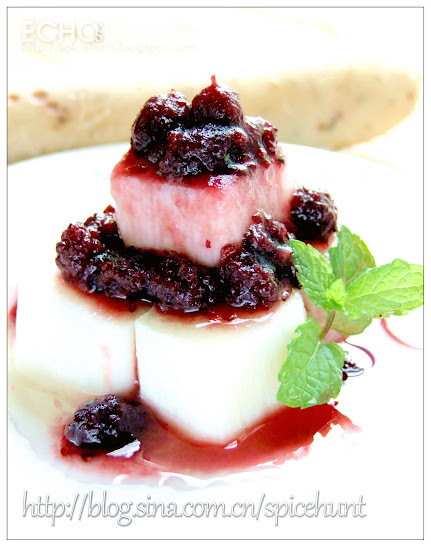 It was made with Dioscorea opposita (nagaimo, Chinese yam, Korean yam) and some fruit jam, she liked it very much as it was very nice and crunchy. Coincidently the same day when we shop for our grocery at the local supermarket, we saw that the workers were busy displaying the fresh nagaimo/Chinese yam! We immediately bought two to try out this recipe!